Are you wanting to take your skills to the next level? Do you want to train for real world situations? Are you wanting to hone your skills through specialized training? Do firearms make you nervous? Do you feel useless not knowing how to defend yourself or others? Are you wanting to learn from some of the best instructors in the area? We are here to help you level the playing field. "My 18 yr old son and I went to the range and decided to take a private lesson. Our instructor was a great teacher! I have some shooting experience and he helped me improve my skills and get rid of some bad habits. My son had very little experience and our instructor had him shooting better than me by the end of the lesson. The range is clean and modern. 5 stars!" 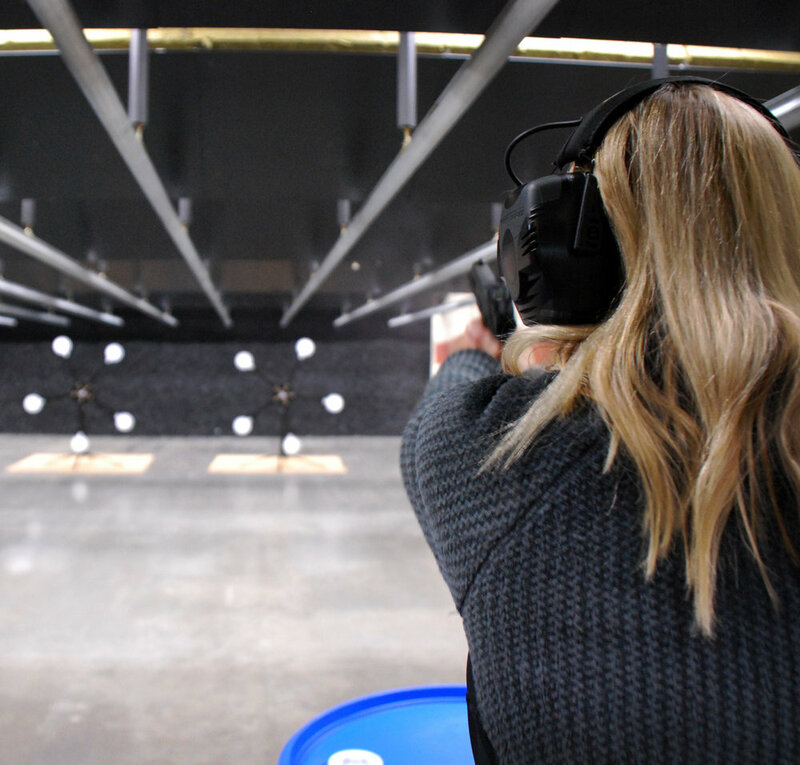 "We took private shooting lessons with one of their main instructors and it was an excellent experience. He was recommended as a good instructor for first timers. I had never been around a gun, held a gun or fired a gun in my life. His safety training was perfect and my overall first time experience was awesome. The facility is also very clean and nice. Everyone we encountered was very friendly and helpful. Looking forward to my second lesson with him." "Hands down the best range experience I've ever had, multiple times, they are consistently great. Our entire family has taken classes here and the instructors are so patient, knowledgeable and articulate. They really take their time with you and the youth intro to firearms is a great way to SAFELY and professionally introduce kids to firearms. I highly recommend ANYONE looking to educate themselves the correct way (whether it's your first time shooting or you've shot for years) to take a class or private lesson. They are reasonably priced on everything: classes, lessons, rentals (what a selection! ), ammo... Go check them out! Ladies, if your don't want your significant other to teach you, I HIGHLY recommend taking a lesson with their female instructor. All of the instructors are great, but if it's your first time shooting and you're at all concerned, I assure you their female instructor is all about teaching you correctly and she's very patient. Thank you Safefire for providing a SAFE, family, educational, encouraging environment." At SafeFire we know that you want to be a responsible firearms user and owner. In order to do that, you need to gain confidence in your firearms. The problem is that there is a lack of solid training and knowledge that is easily accessible which makes you feel fearful and intimidated about firearms in general. That in turn, leads to poor firearm safety and being a liability to yourself and others. We believe that being a liability to yourself and the community is definitely preventable. We understand how overwhelming firearms can be and care about your well-being, which is why we help hundreds of people every year become responsible and confident firearms users through training and education. So, come train with us today! In the meantime, here's 4 common mistakes that you could be making at the range and how to avoid them. Feel free to download it below. We want everyone to be better and more confident firearm users. This article will help you fix some very common mistakes that everyone makes, whether you have never shot before or having been shooting for quite a few years. Thank you! Your article will be emailed to you shortly.